Joel Martin and William J. Birnes. Edison vs. Tesla - The Battle over their Last Invention. Skyhorse Publishing, 2017. If you were asked, right now as in a conversation, who do you think were the greatest inventors of all time, who would come in the top places of your list? It is a good bet that Thomas Edison would come top, or thereabouts, on most people's lists. Nikola Tesla would be there too. Along with such luminaries as Leonardo da Vinci, Alexander Graham Bell, Benjamin Franklin, Guglielmo Marconi, the Wright brothers, James Watt and Galileo, amongst several other candidates. Thomas Edison (1847 - 1931)is best known for his successful inventions of the incandescent electric light bulb, the motion picture camera and projector, and the phonograph. Nikola Tesla (1856 - 1943) is remembered as the genius engineer who pioneered alternating current (AC) electricity generation and distribution. 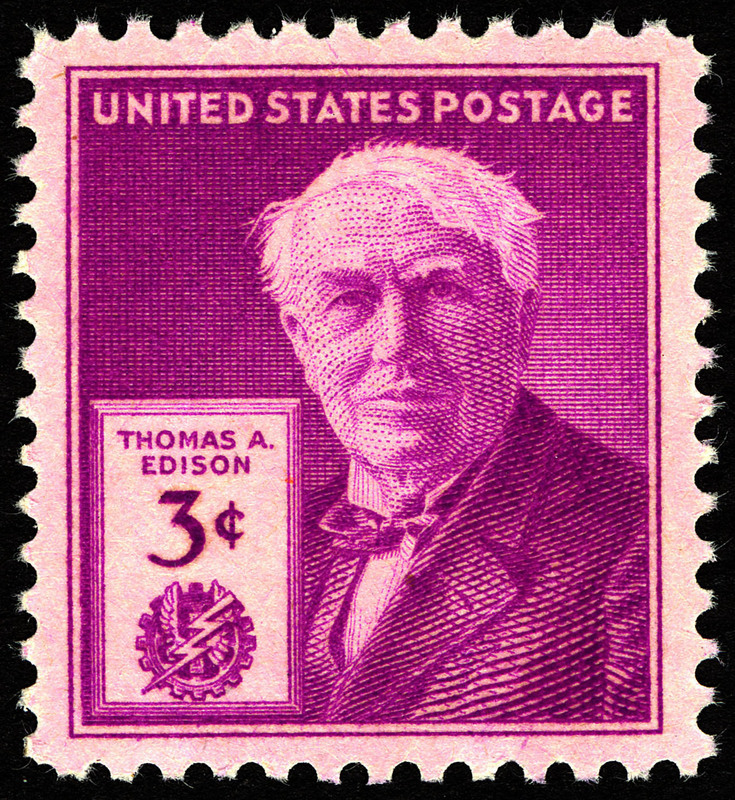 As an indication of how prolific both men were as inventors, Edison had 1,093 U.S. registered patents by the end of his life, and Tesla's total was around 300 patents worldwide. By contrast, Benjamin Franklin, who invented the lightning rod,bifocal lenses and other useful devices, never took out a single patent, believing that all knowledge should be freely available. It is common knowledge that Edison and Tesla developed a fierce personal and commercial rivalry, which is alluded to in the title of this book. Their greatest battle, fought in the 1880s and early 90s, was "the war of the currents" over the relative merits of Edison's preferred direct current (DC) system against Tesla's AC. Edison's hard edge showed itself in his efforts to demonstrate that AC was more dangerous. To this effect, he publicly electrocuted several animals, such as stray cats and dogs, unwanted horses and cattle, and a circus elephant who had recently killed three men. Then an actual human victim, a condemned prisoner, was executed in an AC-powered electric chair, taking ten minutes to die in appalling agony. It was gruesome. Of course it would never be allowed today. This battle came to a climax with the award of the contract for lighting the 1893 Chicago World Fair to Westinghouse with Tesla's AC system, decisively beating Edison's General Electric bid with a much lower price and superior technology. After this, AC became the accepted standard for power distribution and lighting. Edison, a proud and stubborn man, deeply resented this loss, although his company was soon forced to adopt the AC system into its business. 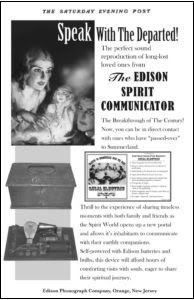 The 'last invention' was something altogether more bizarre and esoteric: a 'spirit telephone', meaning a device that could be used to communicate with departed spirits of dead loved ones. From the beginning of the book, in the foreword, introduction and first chapter, the game is given away. The 'spirit telephone' did not work, and no model of it exists today. But the story of Edison's concept of how it might work, and biographical details of both men's lives, are fascinating and inspiring to read. It is not a major criticism of the book to say that there is a good deal of repetition throughout its chapters. The same themes, such as Edison's belief in 'life units' or what we today might call 'quantum particles', are repeated several times. This may be partly due to the book having two authors, Joel Martin, a leading author in the paranormal field, and William J. Birnes, an author and expert in the field of UFO research. One gets the impression that certain chapters were written separately, perhaps as magazine articles, which may explain the repetition of facts and explanations which had already been given in previous chapters. However, that means in effect that the book is readable and accessible. To their credit, the authors do not over-complicate the science, thereby appealing to a much broader potential readership. Edison and Tesla were like chalk and cheese with regard to their personalities and qualities. Edison laboured long and hard at his inventions to make them successful and viable commercial products, most notably in the case of the incandescent lightbulb. It took hundreds of 'failures' to find the right material for the filament: carbonised bamboo fibre. He became a consummate entrepreneur and industrialist, becoming extremely wealthy. Tesla was a natural genius who got all of his futuristic concepts and intricate designs of machinery as complete images in his mind. He too became very wealthy, but his last few years were lived in cheap hotels and he died in relative poverty. One appreciates Thomas Edison all the more for reading about his formative years. Born in 1847, in that year three of his siblings died. He was bright and inquisitive by nature. His mother, a qualified teacher, took him out of school at an early age and taught him at home. 'Natural philosophy' and chemistry were two of his favourite subjects. He made a lab at home to do experiments. Then, at age only 13, like his hero the British scientist Michael Faraday, he left his education to go out into the world of work. He got a job on the Great Trunk Railroad selling goods from a tray to passengers on the journey from Port Huron, Michigan where he lived, to Detroit and back again. His enterprising nature soon showed itself. Using some space allowed to him in the boxcar, he set up a compact printing press and produced a small newspaper for sale. Then in the same space he started doing some chemistry experiments. 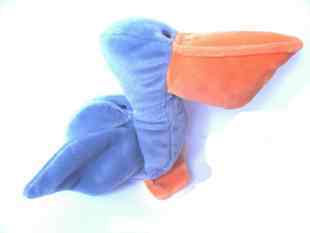 In one of these he mixed nitric acid with sulphuric acid to produce nitroglycerin. He showed the beaker to a military man who, horrified, threw it out of the train where the substance exploded, nearly derailing the train. In another experiment he set fire to the boxcar, whereupon the irate train conductor extinguished the flames and kicked young Tom off the train with all of his stuff. In the process, it is reported, the conductor boxed his ears or possibly pulled him up by them. Whatever the cause, Edison later became very hard of hearing, which may have explained his appearance of aloofness. Edison went on to become an expert telegraph operator, and soon found ways to improve on its function. He moved to Boston, which was the equivalent of today's 'Silicon Valley' for technological innovation, working for the Western Union Telegraph Company. In 1869 he left to become a full-time inventor. By 1870 he had two shops where he repaired telegraph equipment, and by 1876, aged 29, he had set up 'America's first industrial research lab' at Menlo Park, NJ. Nikola Tesla was born in Croatia, then part of the Austro-Hungarian Empire, in 1856, and eventually, after advanced education and experience in engineering and physics, decided his future lay in the USA to develop his world-changing innovations in the emerging field of electricity. To the young Nikola, Edison was a titan of invention and a great source of inspiration. In the American Magazine of April 1921, Tesla is quoted as saying these revealing words: "One of the great events in my life was my first meeting with Edison. This wonderful man, who had received no scientific training, yet had accomplished so much, filled me with amazement. I felt that the time I had spent studying languages, literature and art was wasted; though later, of course, I learned this was not so." Compare those words of praise to the opprobrium expressed by Tesla's letter to The New York Times in 1931 just after Edison had died: "He had no hobby, cared for no sort of amusement of any kind and lived in utter disregard of the most elementary rules of hygiene. . . His method was inefficient in the extreme, for an immense ground had to be covered to get anything at all unless blind chance intervened, and, at first, I was almost a sorry witness of his doings, knowing that just a little theory and calculation would have saved him 90 percent of the labor. But he had a veritable contempt for book learning and mathematical knowledge, trusting himself entirely to his inventor's instinct and practical American sense." It is a remarkable fact that Tesla worked for Edison's companies. In 1882 he got a job with the Continental Edison Company in Paris, in charge of the installation of incandescent electrical lighting. His talent was soon spotted, and he was used for troubleshooting engineering problems and improvements to generating dynamos and motors. That is what led to his being invited to work for the Edison Machine Works in New York, where he arrived in June 1884. After six months of distinguished service he left suddenly over a dispute about unpaid bonuses he felt entitled to for special projects he had completed. 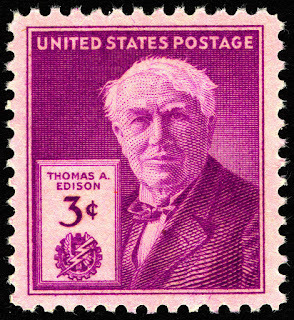 One version of events is that Edison told him personally he did not understand American humour. Tesla had to overcome many hardships and setbacks, with all the trouble of finding suitable investors for his major projects. In 1887 he developed a self-starting induction motor that did not need commutators, avoiding the problems of sparking and costly maintenance. George Westinghouse invested in Tesla's designs and paid him very well as a consultant. A major success they achieved together was the 1893 contract to construct a 2-phase AC generating system at Niagara Falls. All of this success made Tesla a very wealthy man over many years. Despite his wealth, his main motivation and life purpose was his work. He fell in love only once in his life, while young, and after that it appears he had no other relationships with women. All through his life he kept virtually the same weight of 64 kilos, despite being about 6ft 2ins tall. In appearance he was handsome and charismatic, but he had none of his rival Edison's cold aloofness and pride. One of Tesla's best friends was Mark Twain, who liked to visit the lab to see Tesla's experiments and demonstrations. In 1898 Tesla demonstrated a remote-controlled boat at Madison Square Gardens, using newly discovered radio wave technology. He tried to sell the concept of a radio-controlled torpedo to the U.S. military, but they were not interested. Or it may have been on the advice of a certain Thomas Edison serving as a consultant on the Naval Advisory Board. By 1901 Tesla was ready for his most ambitious project to date: wireless transmission of high-voltage electricity, and for this he received a massive investment from the famous magnate J.P Morgan, equivalent to over $4 million today. This financed the construction of Wardenclyffe Tower in Long Island, NY, as an experimental radio broadcasting station. 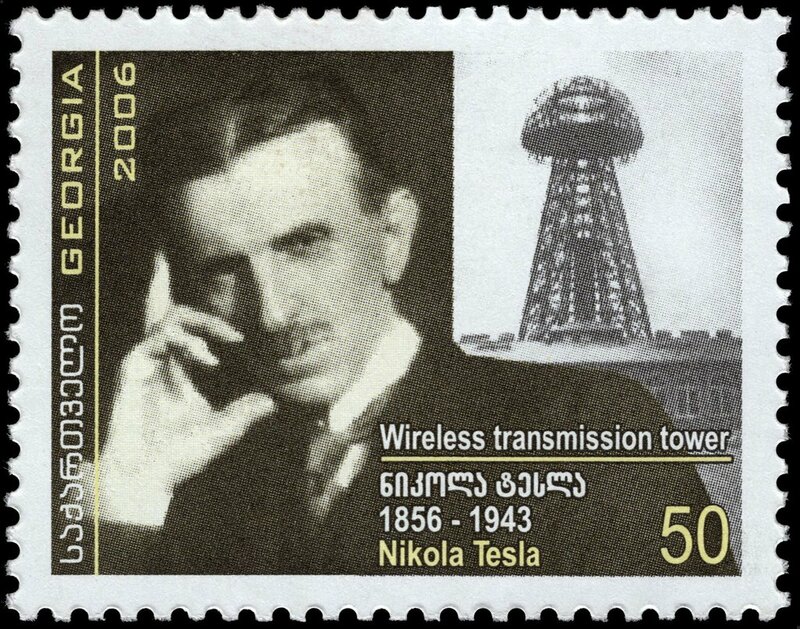 Tesla was by then in another battle with Marconi to be the first to transmit a radio signal across the Atlantic. Marconi won that particular challenge, but Tesla developed even greater ideas. It seemed that he had found the way to produce electricity so cheaply and abundantly that it would not need to be metered. By a combination of solar power and using the earth itself as a giant dynamo, Tesla was sure it could be done. But he needed more investment to achieve, and both Westinghouse and Morgan were hard-headed entrepreneurs who quite obviously wanted to create income streams from their investments. Whether or not Tesla's scheme would have worked is moot. There would certainly have been dramatic lightning effects around the towers, and the military were afraid that a beam of highly charged particles could be used as a weapon or cause massive damage accidentally They were also concerned about German spies in the early 20th century as the tensions that led to the World War I, started to mount. So, the military destroyed the tower with explosives before it could be proven to work. Perhaps it is ironic that Tesla, despite being a man of peace, could conceive of robotic weapons, 'death rays' and even 'AI' (Artificial Intelligence). His visions were well ahead of their time. They are happening right now, in our time, as technology accelerates exponentially. The authors cite the first case of a remote-controlled robotic device being used by police to kill an armed and dangerous sniper in Dallas, Texas, in July 2016. In recent times there have been at least two incidents of 'intelligent' weapons systems going seriously awry, according to Martin and Birnes. First, the 3 July 1988 shooting down of Iran Air Flight 655 by a missile fired from the USS Vincennes in the Gulf, and then the downing of TWA Flight 800, a Boeing 747, shortly after takeoff from JFK International Airport on 16 July 1996 with the death of all 230 people on board. The book goes into some detail on these events, as a kind of tangent to the discussion of Tesla's advanced weaponry concepts. A brief online check on TWA Flight 800 and the cause of the crash indicates that the official enquiry blamed an exploding fuel tank, sparked by a short-circuit. The authors, and many other writers and researchers, are insistent that the cause was a submarine-launched missile aimed at a drone as part of a US Navy exercise of leading edge weaponry that went wrong. They claim eyewitness verification and forensic evidence. Edison also envisioned the future, with high-speed trains powered by electricity, electronic books and the 'internet' of shared information. He predicted that peace would eventually come through technology, after a few violent upheavals. Let's hope he's right, but it will also take Tesla's vision of clean, free energy and wise use of power to bring it about. According to this book, both men were offered the Nobel Prize for Physics in 1912 but turned it down because neither could bear to share it with the other. Towards the end of the book there is more explanation of the concept and technology for the 'spirit telephone'. It is a bit of an anti-climax compared to the real achievements of both men. There's very little on Tesla's design, if it ever existed, and even Edison's experiments have no detailed records. Probably they were destroyed by his family or agents to remove this dubious device from the record. The idea in principle was that departed spirits of humans might retain packets of memory as energy quanta after death. No one expected spirits to vocalise, but it was thought they might be able to respond by simple yes/no raps, leading to a more sophisticated type of Morse code. Edison's experiment used a light beam focused on photoelectric cells, with a meter to show any subtle fluctuation to indicate the presence of a spirit. He had corresponded with the British scientist Sir William Crookes, an expert in spectroscopy, or analysis of the components of light, about detecting the energy of auras. Crookes, in later life, became interested in spiritualism. Edison was sceptical, but even so mediums were present to do their rituals to attract the spirits. It's all quite nebulous. Some say it was a hoax all along to provoke Tesla. Who knows? It was the confluence of the Great Age of Spiritualism with the Age of Science and Industrialism. It is certainly true that Edison had a profound near-death experience on his deathbed in 1931. Awakening from a coma, he said that he had seen the 'other side' and it was totally blissful. As for Tesla, when he died alone in his cheap hotel room we don't know his final moments. His body was found by a chambermaid two days after he died with a 'do not disturb' sign on the door. Some of the greatest pleasure he had in his last years came from going out every day to feed pigeons, and one particular white pigeon that came to the window of his small hotel room needing care and attention. He wrote: "I loved that pigeon as a man loves a woman, and she loved me. As long as I had her, there was purpose to my life." As a postscript, after his death in 1943 the FBI, under the directorship of J. Edgar Hoover, broke open the safe in Tesla's room and took away all of his papers. When the newly formed Yugoslav government requested his papers for the proposed Tesla Museum in Belgrade, it seems that at least one set of papers was retained. These were Tesla's designs for what could have been his greatest invention: an antigravity device. He had theorized that excited quartz crystals, at the correct frequency, could be directed to levitate an object, negating the effect of gravity. It was the start of World War II and he had enthusiastically tried to sell the design to the U.S. military without success. The Russians were interested and offered $25,000. It was never made, as he became ill and died with no further progress.